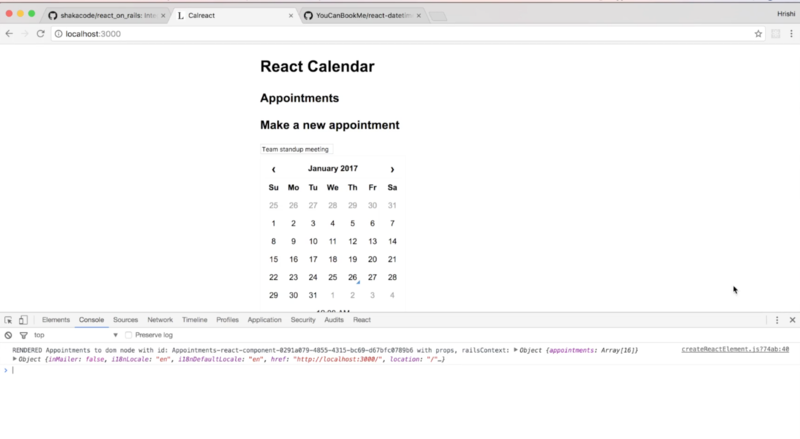 In this lesson, we're going to migrate our React Calendar Appointments app from react-rails to using the react_on_rails gem. We'll see what the differences are and it'll help you understand the concepts we outlined in the previous lesson in more detail. Note that in this lesson, we're building on top of the app we built in lesson 4.4, when we were still using the react-rails gem (not 4.5 where we used the webpacker gem). We're first going to remove the react-rails gem from the Gemfile and replace it with react_on_rails. Or if you want to use the latest gem with yarn, you can install yarn first and then replace all npm install commands in the lesson with yarn. 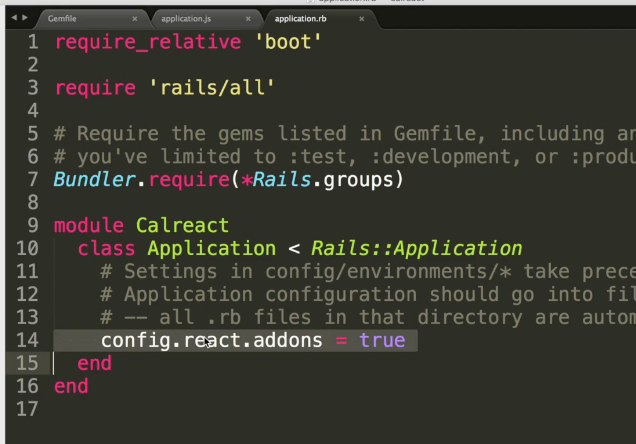 Then let's install the react_on_rails gem and run through the setup process quickly. $ git commit -m "Remove react-rails gem. Add react_on_rails gem." Now if we open it in a browser, the page loads but our components won't load because we haven't set them up with react_on_rails yet. 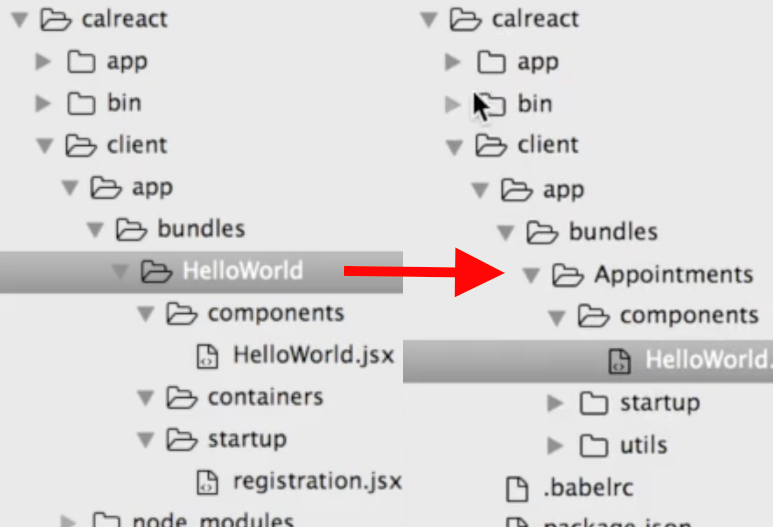 The example hello world component works, so we know react_on_rails is working. Ok, so now let's fix our components. They will live in the new client directory that react_on_rails created in the root folder of our app. 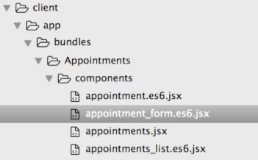 Let's rename the client/app/bundles/HelloWorld directory to client/app/bundles/Appointments. // This is how react_on_rails can see the Appointments in the browser. Replace all instances of HelloWorld with Appointments. Let's leave utils.js in app/assets for now because we'll use it later. 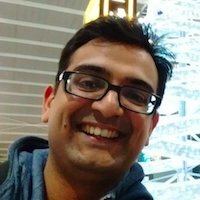 Uncaught Error: Cannot find module ".app/bundles/helloworld/startup/registration"
This is because of one big change compared to react-rails. 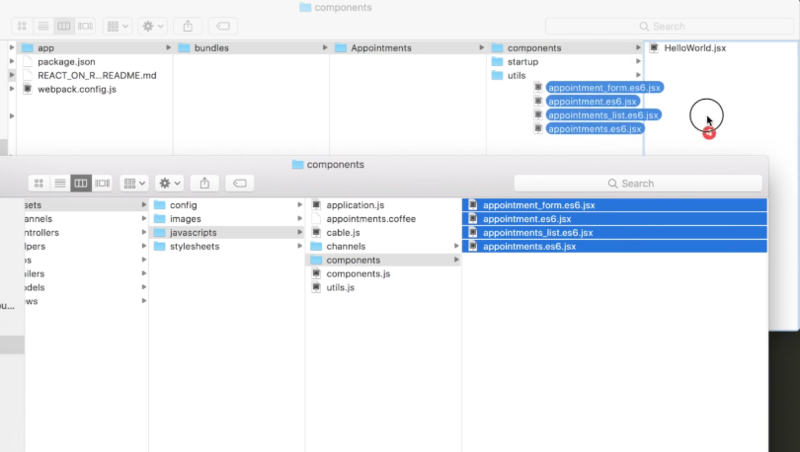 Because we had all our React component code in the app/assets directory, all components were automatically getting included in the asset pipeline. The only thing that gets included in the asset pipeline by default is the final bundle that Webpack produces. Now if we refresh the page, the React and Appointments component errors are gone. But we get a different error - AppointmentForm is not defined. So let's fix that in appointment_form.jsx. Let's remove .es6 because we haven't set webpack to recognise that extension. We're using es6 by default anyway so we don't need it. We can just use the .jsx extension. Ok now let's refresh and see what more fun awaits us! I know this can be a bit annoying that we are getting so many errors and warnings. But I'm purposely doing this step by step so you can see how react_on_rails and ES6 works. Ok, let's fix the Datetime error by installing react-datetime from npm. 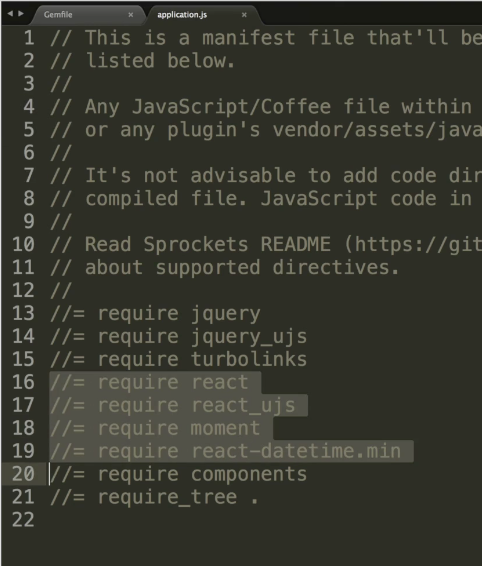 We get an unmet peer dependency error because react-datetime needs moment.js and we haven't installed it. We need moment anyway, so let's also add that to package.json and run npm install again. Once that's done we can run foreman again. It looks like the appointments prop is not being passed correctly. Let's have a look in our index.html.erb file. Here we need to use the word props when passing the appointments data to the Appointments component. Ok so Appointment is being loaded now. But moment is not defined because we haven't imported it yet. This file utils.js is still in our app/assets directory. So first, let's move it to the client directory. Under app/bundles/Appointments, let's make a new directory under client called utils and move the file there. Let's rename it to format.js. So the file will now be at client/utils/format.js. Now we need to export this function and let's import moment here. Ok now, let's refresh our app. We can see the form and our list of appointments. Now let's try and make an appointment. Set a title and choose a date. When I click on a date, the title gets reset. Looks like our state updates are not quite working correctly. If I enter the title again and submit the form, the appointment doesn't get added to the appointments list. That's coming from the addNewAppointment function in appointments.jsx because we don't have React addons. So let's add that. Now although we used the update function from React addons in our previous lessons, this package has now been deprecated. The React team recommends using another package called immutability-helper. So let's use that. This package has an update function which works just like the one we've been using. And we need to restart our processes with foreman. The rest of the syntax remains exactly the same. Now if we refresh, we can enter a title, choose a date and submit the form successfully. The appointment gets created and added to the appointments list. It all works perfectly now! So we've migrated our app from using the react-rails gem, to using the react_on_rails gem with Webpack. We had to make some big changes to make this work. We moved all of our React components code from the default Rails app/assets directory to a new client directory. And finally, we had to explicitly import and export all the components and utility libraries.